Coming within the next two weeks will be some in-depth character discussions on different people from The Quint Trilogy. I’ll write about some of the main characters, then do a post about the series’ setting, and about other books that base their plots in other worlds. To finish off the in-depth look at this trilogy, I will write a post about how the format – third person and with detailed pictures – affects the reading experience. I hope you’ll enjoy this first in-depth look at a specific series. Expect more in the future! 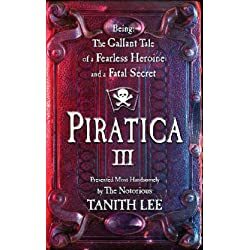 One of the most carefree characters in existence, Artemisia Blastside, Piratic Captain, and ledgendary daughter of Piratica. Also, Elizabeth Bennet… star of the best book ever written, Pride and Prejudice. Art Blastside is the brave, fearless, noble pirate queen of a world sort of like ours in the 1800s, but slightly different. She's outspoken, she leaps before looking, and she can command a room. Self-confident, smart, agile and heroic (she helps save french rebels, ect. ), she doesn't even kill those she steals from. If I could make her slightly less pig-headed, and ask her not to risk her relationship with Felix Phoenix and his icy-white hair, She would be my dream character. Imagine the life of care-free sailing, after been granted governmental support, the safety and beauty of the wide open sea. It all starts to go a bit awry for her in book number three, and she makes some choices and mistakes that were really, really crummy. I think I'd love to be her beacause she's so different to me: she's self-confident, loud, brave, and not scared of heights. If I was to choose another character to be, it would be Elizabeth Bennet. As readers of my blog – bookheaven.wordpress.com – know, I am a gigantonormous fan of Pride and Prejudice. My whole life is based around it; my decor is decidedly country 1800s. I love the charm of nineteenth century life, and love how se is different, not shy, and not afraid to be herself. She believes that it is wrong to think of yourself as not as important as the wealthier- it is this charm and confidence that attracts Mr. Darcy. Yet again, it is her confidence and self-worth that makes me want to be her. Yes, I’m as excited as everybody else. I promised myself I would never ever get caught up in the torrent of any fandom, yet here I am. After all, I do love the books.